Taken to the edge! The black costume is no more - but who is that running around in the original yellow suit? And the classic red? Is it Matt Murdock? Jack Batlin? Or...someone else?! 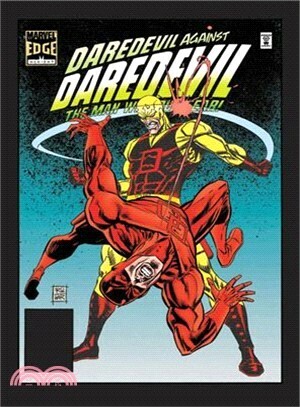 The Man Without Fear faces an identity crisis - and it won't be easy to put his broken life back together! If he can, it'll be a new dawn for Nelson & Murdock - unless the hotshot lawyer Rosalind Sharpe has other ideas! Faces from Matt's past resurface, including his mother, his former lover Black Widow, and his dead mentor Stick...but there's something different about Spider-Man! Meanwhile, villains line up to take on Daredevil - like Pyro, the Enforcers, the Absorbing Man and Mysterio! Matt faces one of his hardest cases: defending Mr. Hyde! And DD pulls an all-nighter battling Insomnia!